« How Deep Do You Go? Lasagna layered with homemade pasta noodles, sauce composed of browned ground turkey in tomatoes, onion, garlic, yellow pepper, basil, rosemary, caraway seeds, and salt/pepper, fresh spinach leaves and a cheese blend of ricotta, asiago and parmesan. Valpolicella is generally known for two types of wine. One is their standard blend of Corvina Veronese, Rondinella and Molinara which is a lighter, aromatic wine and generally flies under the radar of enthusiasts. The other is Amarone, which is made from the same grapes, but the grapes are dried ahead of time and then fermented into a rich and dry wine. Amarone is the popular kid out of Valpolicella and its price tag generally reflects this. However, at some point, a very enterprising wine maker decided to take the leftovers from Amarone and blend them with some of the standard blend to create a middle of the road wine which turned out to be pretty good. 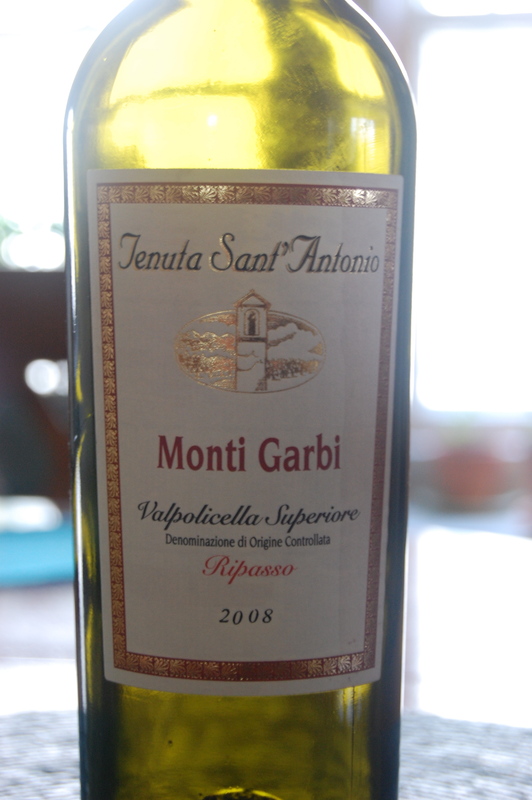 They called it Ripasso and it officially got recognized in December 2009 with a DOCG status (which means they could put the word “Ripasso” on a bottle and it would mean something). Anyway, this paired nicely with the lighter lasagna. The wine delivers all sorts of red fruits upfront, but has enough structure and spice in the end to make it play wonderfully with the ricotta cheese and the caraway. Simply Italian. Enough said.